(When you’ve first signed up with RepCheckup, it can seem a bit overwhelming to get everything started. However, setting up your organization to properly categorize your business accounts is simple. 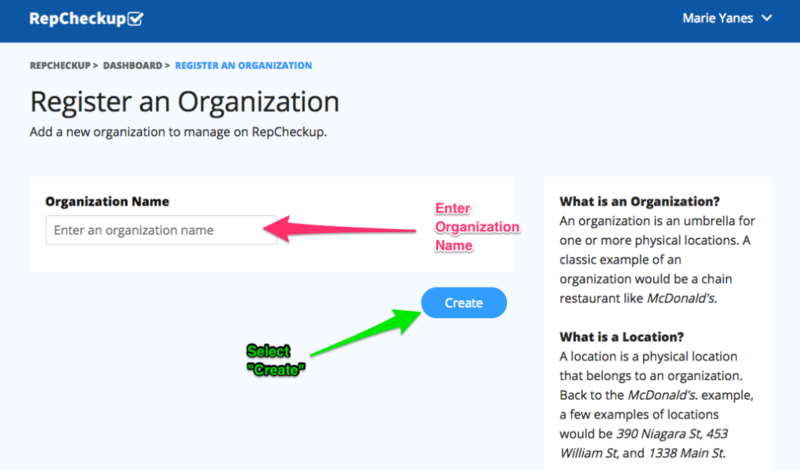 Once you log into your RepCheckup account, the first page that you’ll encounter is the “Organizations” page. Congrats, you’re all set with your first official RepCheckup organization.